If you have worked in sales or if you have been approached by a sales person, you may be familiar with the phrase ‘increase your pipelines’ or ‘improve your sales funnel’. To many of us its a load of confusing sales jargon, used to impress. However, they have their place in sales and are commonly used tools for sales professionals to follow and analyze. Notice the contrast in the terms ‘increase’ and ‘improve’, this is the first and most crucial distinction between the terms pipeline and funnel. Sales professionals use pipelines and funnels as a means of measuring sales and recording each stage of a sale. These tools help understand each process of a sale. That being said, pipelines and funnels are often confused with each other and the lines of distinction between them are sometimes unclear. In a nutshell, the two terms work in harmony with each other, one describes the flow of prospects through the sales process and the other is used to analyse the process. Lets look into this a bit more. A sales pipeline explores a specific sequence of actions that are required by the sales person to take in order to turn a prospect/new lead into a customer. The aim of the seller is to ensure the flow of leads is constant and that the seller can navigate round the bends of the pipe in order to win a client through a sequence of stages. Upon completion of each stage the prospect is then guided by the seller onto the next stage. It allows the seller to visualize the process and keep track of where the client is and allows them to understand the clients’ requirements. Pipeline reports help the seller visually understand and record the value and quantity of the sale at every stage and is a valuable tool for meeting sales targets. Qualification Does the prospect have the need, budget and authority. Do they qualify as a client? Meeting Discuss the solution to best fit the prospects needs. Ask the question and get a meeting in the diary. Proposal Send the prospect a detailed quote, transparency is key at this stage, outline all the costs involved and terms and length of any contract. Closing Finalise any negotiations, sign the contract. The lead is now a customer. Top tip for sales professionals: Try to visualize a pipeline with four ‘u-bends’ each representing the stages. Imagine you have to get your client around each bend so that you are one step closer to sealing a deal. Funnels are useful tools for communicating conversion rates of prospects through the pipeline stages. Used to analyse the data that comes out of the pipeline figures, allowing the seller to recognize key areas where the prospects are declining. The term funnel relates to the shape the process takes visually. Usually wider at the top (or the first stage of the process), then gradually narrowing. Thus, reflecting the amount of prospects that disqualify or decide not to buy during the stages. Funnel reports demonstrate the amount of leads you received in a period and what percentage of them advanced through each stage of your pipeline. A sales funnel report is important for sales leaders because it can help them forecast sales based on current lead volumes and helps identify where deals are getting stuck, meaning teams can improve their processes and adjust in accordance with prospects requirements. A pipeline report is a tool used by sales professional to explain the process of selling and the stages needed to complete a sale. A funnel report works alongside the pipeline process and allows teams and managers to assess their processes and conversion rates, helping them reach their annual sales targets. 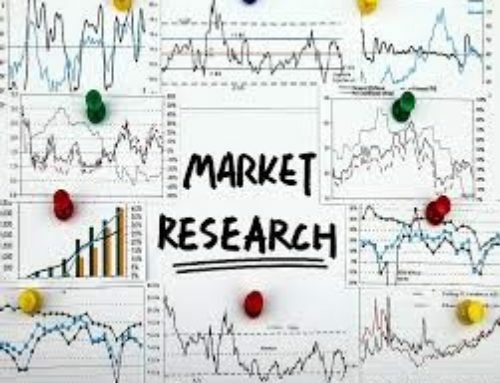 Research Runner is a global sales consultancy. Our Managing Director, Julian Haste has years of experience in the sales industry and can help improve your sales pipelines and can assist your sales teams and increase productivity. Please visit us at www.research-runner.com or call us on +44 (0)1279 260 031.